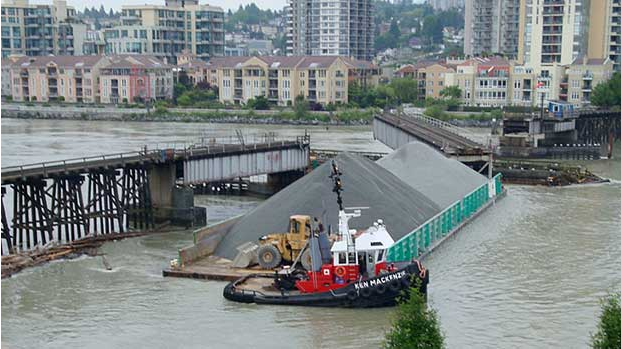 The tug Ken MacKenzie pushing a barge loaded with gravel on the Fraser River struck a railroad bridge that connects Queensbourh to New Westminster near Vancouver, British Columbia, Canada. 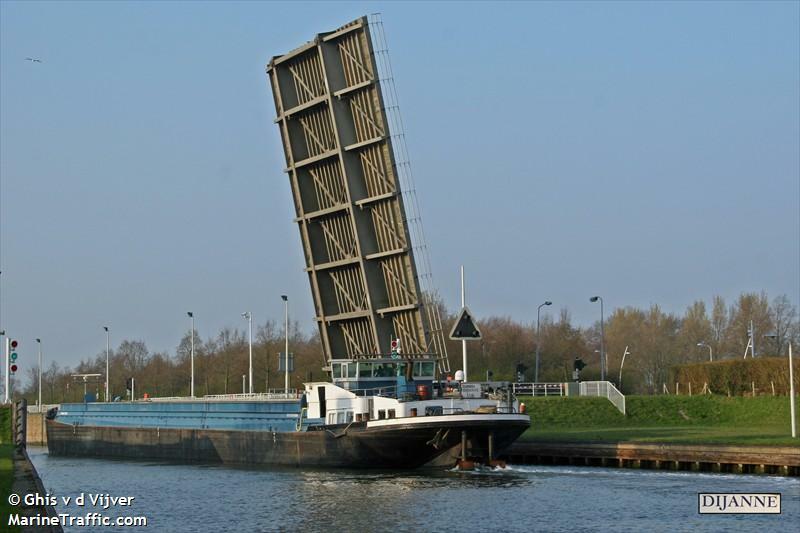 The pair of vessels were heading downstream with it struck the swing bridge causing damage the pivot mechanism. This has the swing bridge is stuck open and is out of service. 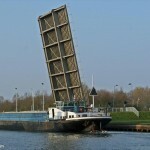 River traffic was halted as the barge was kept wedged against the bridge until the bridge can be stabilized. Conditions on the Fraser was reported as having an average freshet, but is not out of the ordinary and was not the cause of the accident. Reports state no one was injured and no pollution was released. Government authorities are conducting an investigation into the incident. 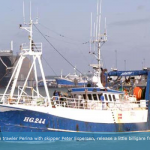 The 172 dwt trawler HG 244 Perina collided with the wooden trawler Helle FN 64 off the Hirtshals, Denmark. The Perina was heading into the sun which blinded the masters view when the struck the Helle on its starboard side. 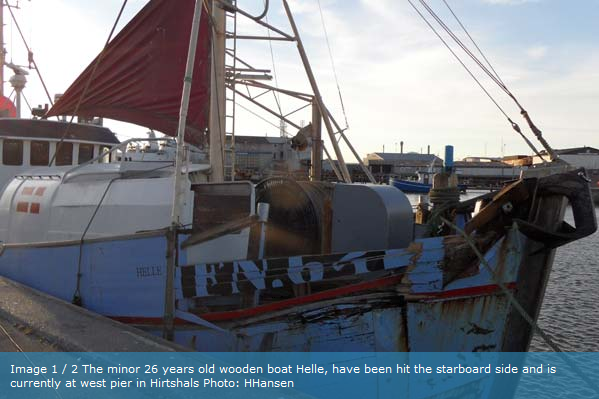 The Helle suffered significant damage with broken planks and ribs. 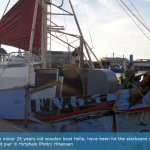 One crewman also was slightly injured on the Helle. 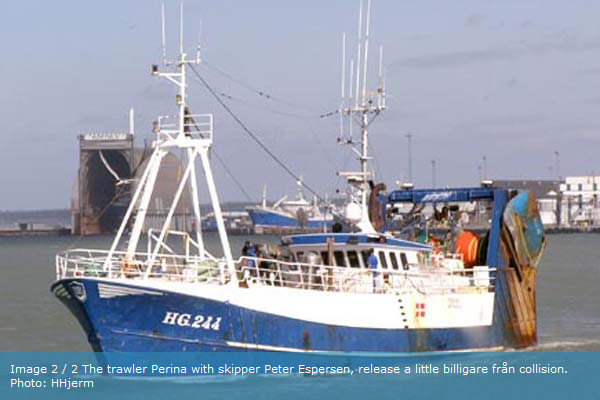 The Helle was able to return to harbor at Hirtshals. Reports state repairs on Helle may take several months. The Perina suffered minor damage. 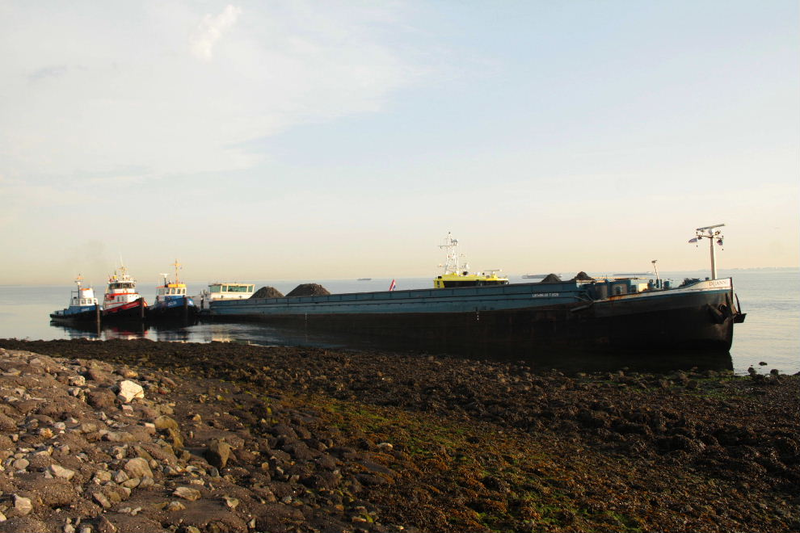 The 80 meter long, 1409 dwt self-propelled barge Dijanne went aground at the old port entrance to Wemeldinge, Netherlands during the ebb tide. The bow was firmly aground and there was some fear the Dijanne would break-in-two. 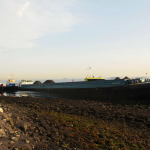 Three tugs arrived on scene and are awaiting the rising tide to refloat the Dijanne. No reports of injuries or pollution being released.